The Commander LBEC (Linear Battery Eliminator Circuit) series features a Linear BEC that will convert the voltage from your battery pack to 5.0 volts to power your receiver and servos. 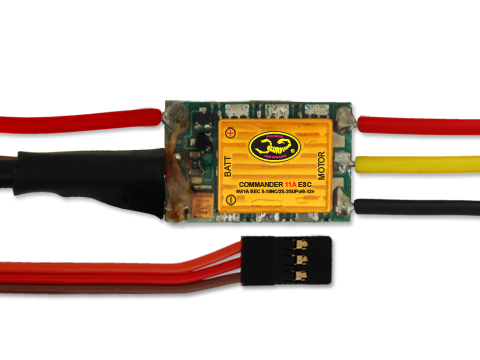 The Commander LBEC will deliver the amps specified on the ESC heat shrink and will operate from 6 to 12 Volts. Low Voltage Cut-off (5V to 10.5V at 0.5V increments) no need to select battery type just set the voltage the ESC should work on, by doing this, the ESC will be compatible with any future type of battery designs.